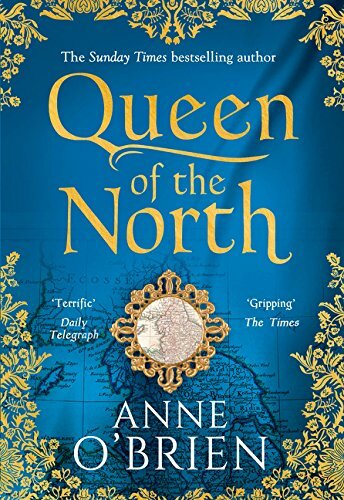 Queen Of The North by Anne O’Brien is a fabulous epic historical novel set between 1399 – 1408. 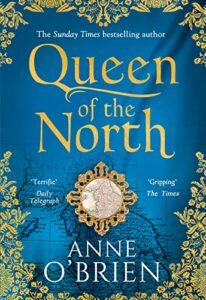 Anne O’Brien really brings history to life in this marvellous tale. Historical details combine with imagination to produce a riveting read. The reader is in for a real treat as well as an education. Living in Worcestershire, as well as holidaying in Wales and Yorkshire meant I recognised and had been to many of the places mentioned. So for me, there was an air of familiarity. Only last year I walked in the footsteps of Owain Glyn Dwr at both Harlech and Conwy castles. I have also been many times to Ludlow. Historical figures become ‘real’ people in this riveting read.